Buy this Magazine! — Blog — TypeOff. 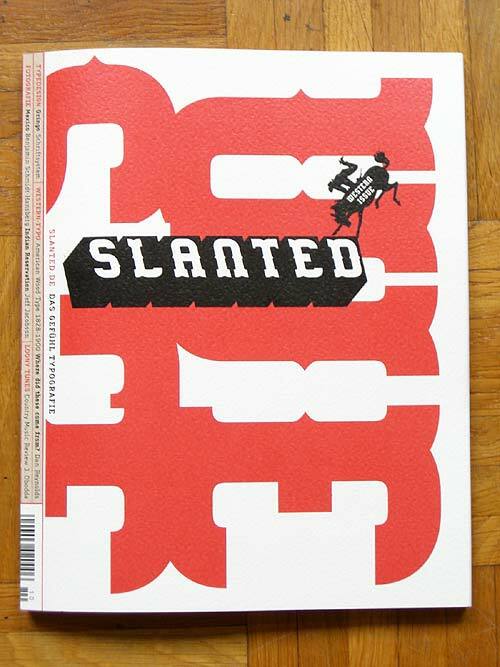 The second issue of Slanted.de‘s print magazine was released just before the TYPO Berlin conference. 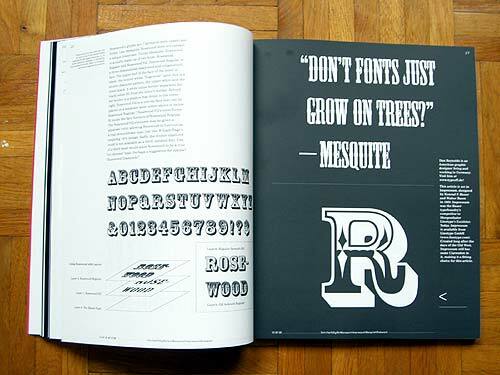 Topping off at almost 200 pages, it revolves around western fonts. 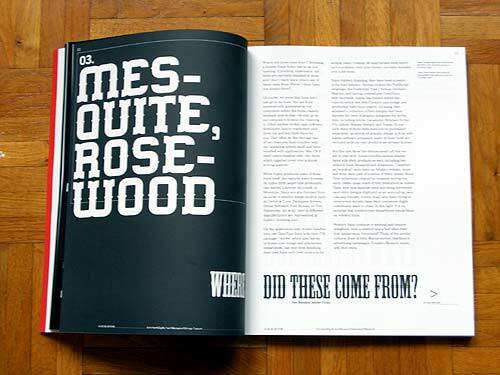 I contributed a short article on two of Adobe’s woodtype faces, Mesquite and Rosewood. The magazine is available directly from its designers. Order it today! I must admit that I am now a big fan of the table of contents on the cover motif, especially since it brought me into such a prominent position. 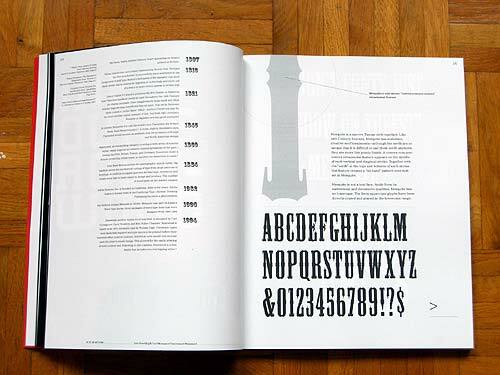 The magazine is produced simply, making marveous use just out of black ink on white paper. 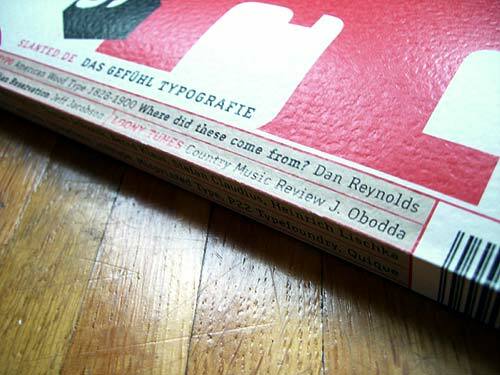 My article is set in Mesquite, Rosewood, and Impressum, as well as several great Volcano-Type faces that make up the magazine’s overall design.